Though there have been female-led comic book movies in the past (Elektra, Catwoman….nothing particularly noteworthy), the first film in the Marvel Cinematic Universe to feature a female lead hero will be Captain Marvel. 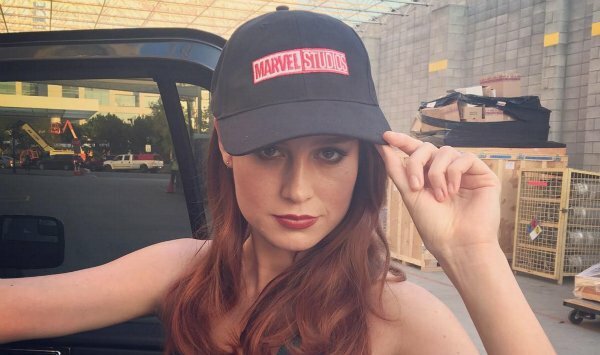 The space-faring adventurer will be played by Academy Award-winning actress Brie Larson (Room, Kong: Skull island), who has spoken in the past about being only too aware of the massive responsibly it is to bring Carol Danvers to the big screen in a way that does justice to the character, while also catering to a demographic that may not be too familiar with the somewhat obscure Marvel Comics incarnation of the hero. Warner Bros. will beat Marvel to the punch with their solo Wonder Woman movie later this year, so you can bet Larson – and everyone else involved with Captain Marvel for that matter – will be keeping a very close eye on how that performs. Granted it does well, though, you can expect to see a whole host of female superheroes finding their way to the big screen with their very own films in the near future..
Captain Marvel is set for release in 2019, but there’s a very good chance we’ll see Larson debut as Carol Danvers in Avengers: Infinity War before then. Nothing’s been confirmed just yet, but if we had to bet, we’d say that she’ll almost certainly show up there.